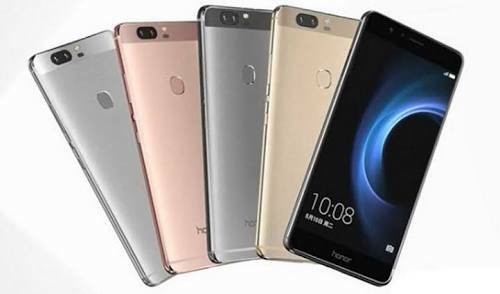 At the Mobile World Congress 2017 (MWC) in China, Huawei officially launched Huawei Honor 8 Pro, which is also called Huawei Honor V9. Huawei Honor 8 Pro packs some incredible specifications and features, and it seems like a premium device. Huawei Honor 8 Pro packs a massive 6GB RAM + 128GB inbuilt memory although there's a second variant with 4GB RAM and 64GB inbuilt memory. The phone runs on Android 7.0 Nougat and it's powered by HiSilicon Kirin 960 chipset. Have a look at the full specifications sheet below. Huawei Honor 8 Pro specifications. Huawei Honor 8 pro released date. Huawei Honor 8 pro price in India, China, Kenya, Nigeria. Too costly? That's mad specs. What do you expect? It will even be more than that. Trust me. I will pay 150k for this phone.